Of course we all want to sleep better, but those who are working to improve their performance and readiness throughout the day know that the holy grail is improving our amount of deep sleep. Not to get too technical, but deep sleep, or the final stage of NREM (or non-REM) sleep, is the time when your brain waves are at their lowest frequency and you are at your hardest to wake up. (Compared to those of being awake and active at the other end of the spectrum.) Think about any time you’ve been awake in the middle of the night and you have a hard time waking up as you’re in an extremely groggy state – that’s deep sleep. Deep sleep is the time when our bodies are working hardest to recover – strengthening our minds and repairing our bodies from the previous day’s physical exertion. It’s no surprise that the people who often say they’re well rested have shown that they’ve had quality deep sleep. The best way to address your deep sleep, and to improve it, is to consciously and accurately track it. Unfortunately, until the last few years, consumer technology has not been advanced enough to offer a way to monitor this without the help of polysomnography and a sleep professional – the former which is most often found in laboratories or medical centers. 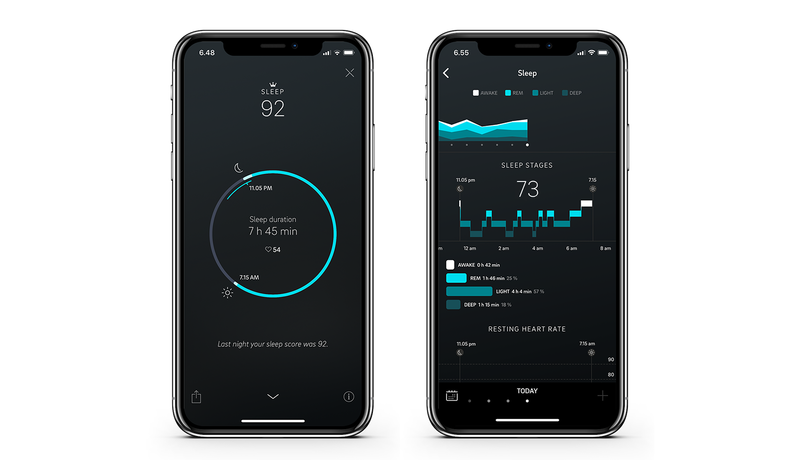 With products (like the Oura ring and the Oura app) that can accurately measure the variability of our physiology and the stages of sleep, we can start to unlock the secrets of our nights of rest. Quantifying your nights of sleep allow you to build a baseline of data of your sleep patterns, and then begin to address how to improve it. 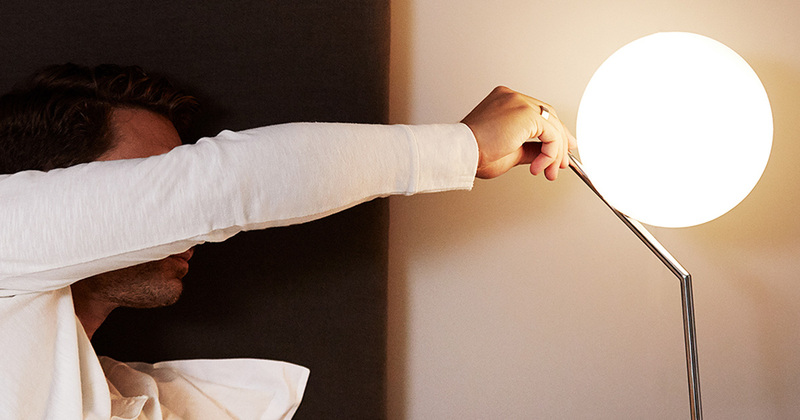 Whether or not you have a sleep tracker like the Oura ring, these tips are helpful for anyone looking to hack their sleep and feel more rested and ready. First off, anyone interested in improving sleep should start by following the basics of what it takes for getting a better night’s rest: Eat healthy. Exercise regularly. Remove sources of noise or distraction from your bedroom and consider using ear plugs, a night mask or even a blackout shade. But that’s the simple stuff that’s important for any lifestyle regardless of next-level sleep goals. Here are a few ideas to try to improve your rest. Remember, sleep is different for everyone, and what works for some may not work for others. Try out these tips, and then validate your night’s rest with a sleep tracker like the Oura ring to see your results. #1 – Power down bright lights/screen time at least an hour before bed. We mean it. We all have busy lives and our phones, tablets, computers and TVs call us for work or play 24⁄7. Removing the bright light and the stimulation will help ready your body for its sleep cycle. #3 – Find the right temperature for your bedroom. Some like it hot. Some like it cold. But physiology and science agree that the right median temperature for a body to rest at night is right around 67 degrees Fahrenheit (19.5 degrees Celsius). #5 – De-stress. Easier said than done, of course. However, as you reduce your stress – whether through the help of meditation, stretching, acupuncture or lifestyle shifts – you can calm your mind and body and give yourself a higher chance at a better night’s rest. Want to see if these changes actually make a difference? 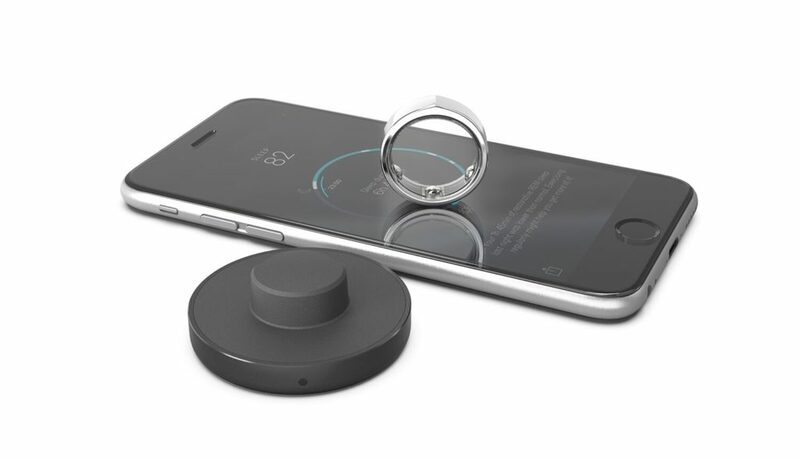 The award-winning Oura ring with the Oura app lets you see how much deep sleep you get each night. If you’re looking for a few more things you can try to get more deep sleep, we’ve heard some ideas from our users that range from the simple to the slightly out there: like taking a hot shower an hour before bed or using an earthing mat. The later puts the body in direct and uninterrupted contact with a surface grounded to the earth. No matter which deep sleep tips you try, the key is to follow the rule and stick with it for a sustained period (at least a week) to give yourself the data and time you need to see – and feel – the effects of how to get more deep sleep. Remember that you can also make adjustments to the rules based on your data. As you become more aware of your sleep patterns and understanding your behaviors and how they influence your sleep, you’ll be able to more acutely create the right conditions to improve and maintain that elusive deep sleep you crave. 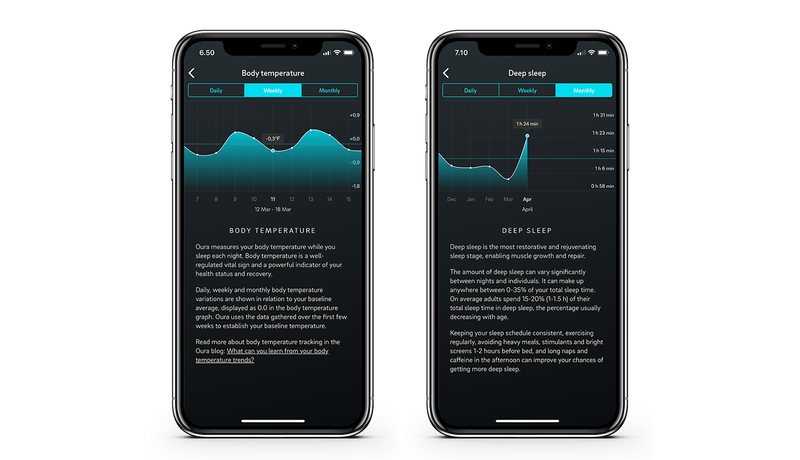 Learn more about how Oura tracks your vitals and offers precise information to improve your sleep.